Here's a yard display that we first saw two years ago when it was in its first year. 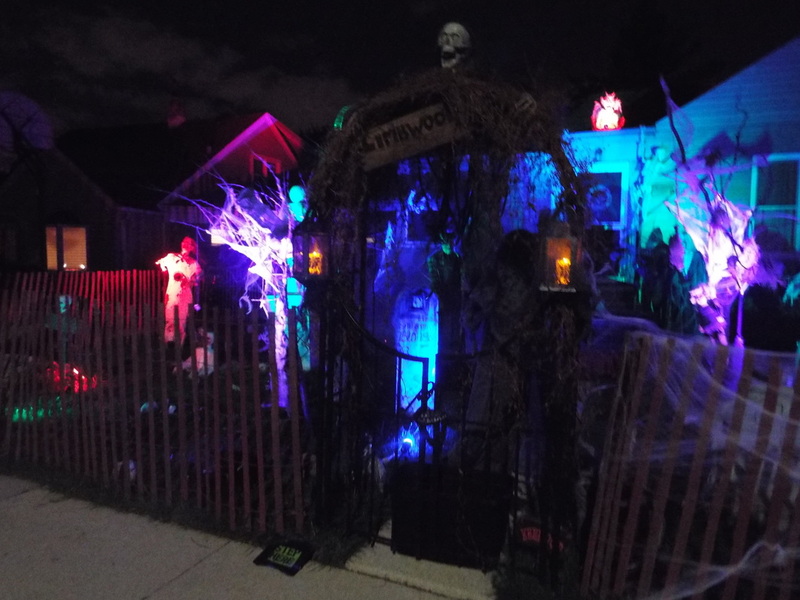 We didn't manage to see it last year due to various factors, so we made a point of checking it out this year to see how it had grown in our absence. It has definitely progressed form its first incarnation in 2013. 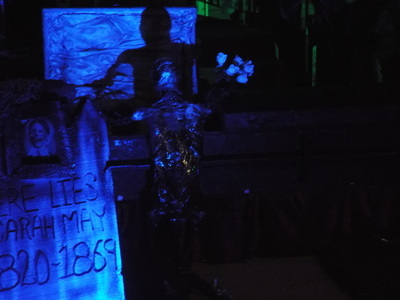 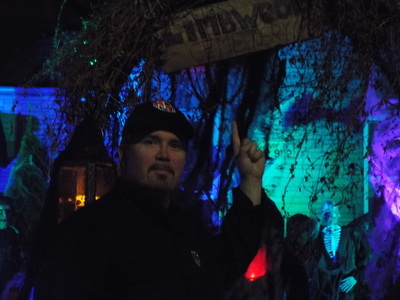 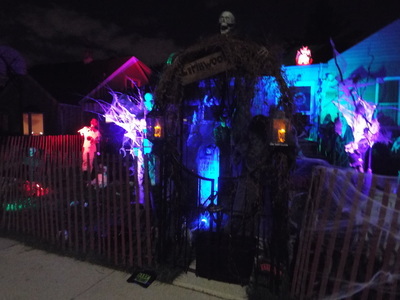 Obviously, given the name, the display has a cemetery theme, with the front yard of the property surrounded by a fence that has a large gate in the center over which a wrought iron like arch stands. Hanging askew from the arch is a wooden sign proclaiming the name of Limbwood Cemetery. Just inside the gate is a hooded figure that beckons visitors into the grounds, probably never to return to the land of the living. 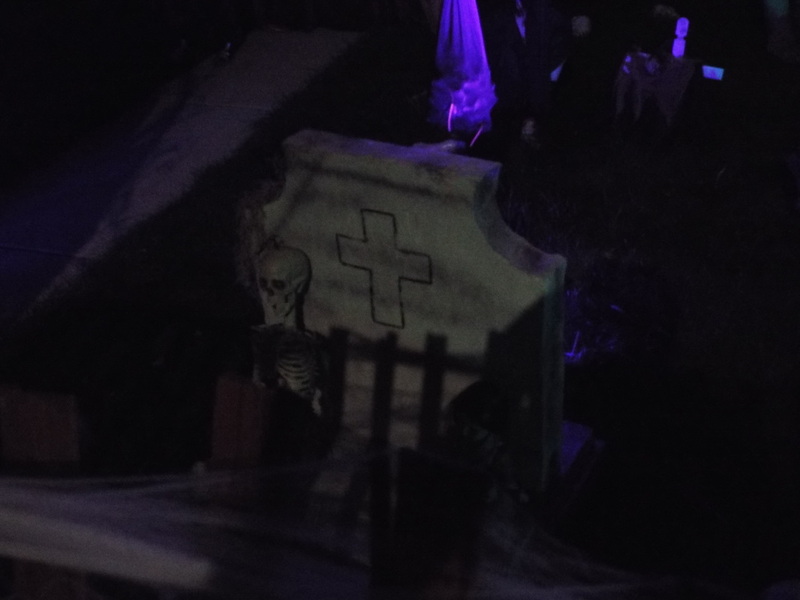 Scattered around the from yard are some of the typical things one might find in a cemetery, including stone monuments, tombstones, dead trees, coffins, and various dead (and undead) inhabitants. 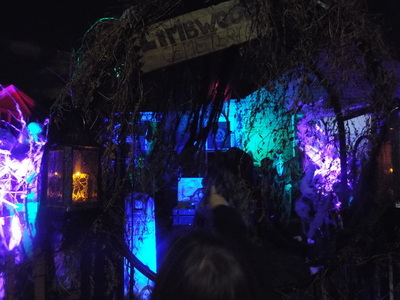 Some of our favorites included a skeleton cobwebbed to a tree, a burned, blackened skeleton appearing to be kneeling and praying over an open coffin, and of course a little doll figure with a doll's head in her stomach, which was one of our favorite things the first time we saw Limbwood Manor. 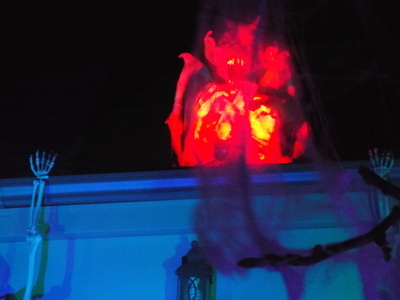 The display also extended to the house, with the roof having figures of Regan (of The Exorcist fame) clawing her way downwards and a devil figure that presides over the entire cemetery grounds. 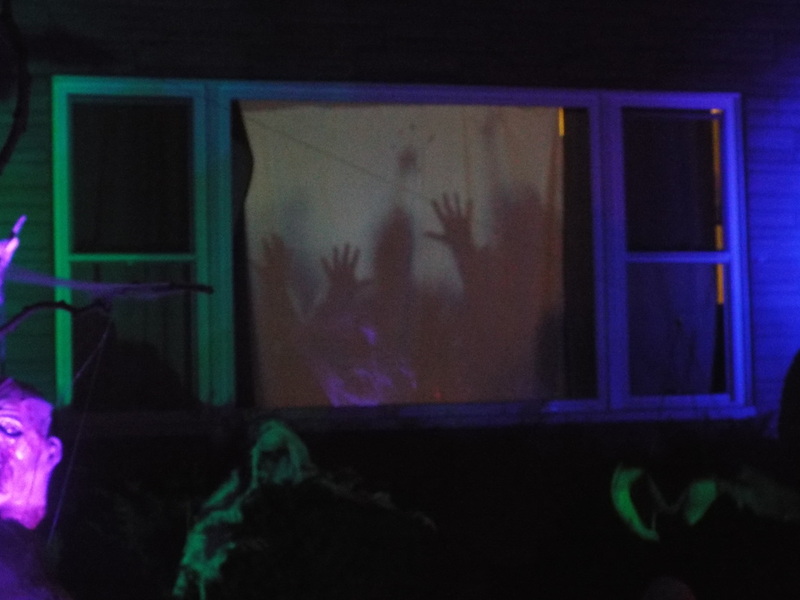 Also present is a moving video projection ont he main house window that shows numerous hands attempting to claw their way out (or in, as the case may be). 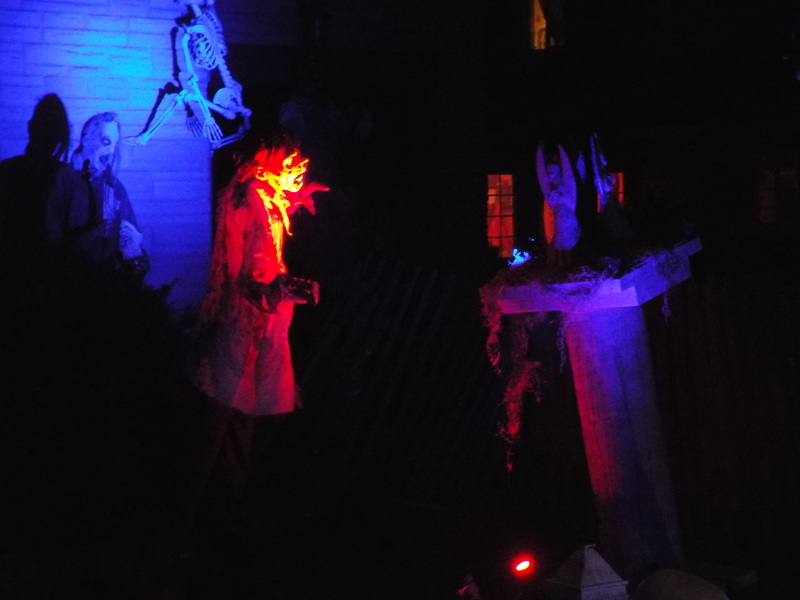 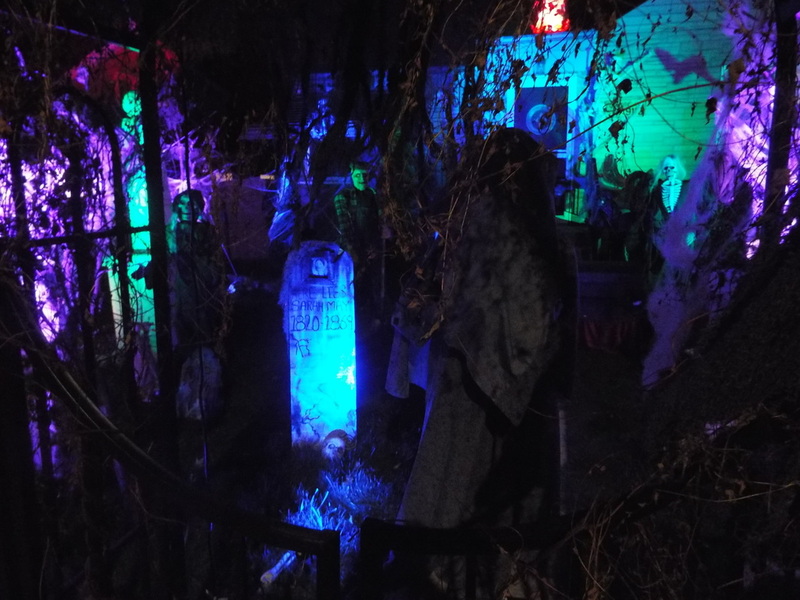 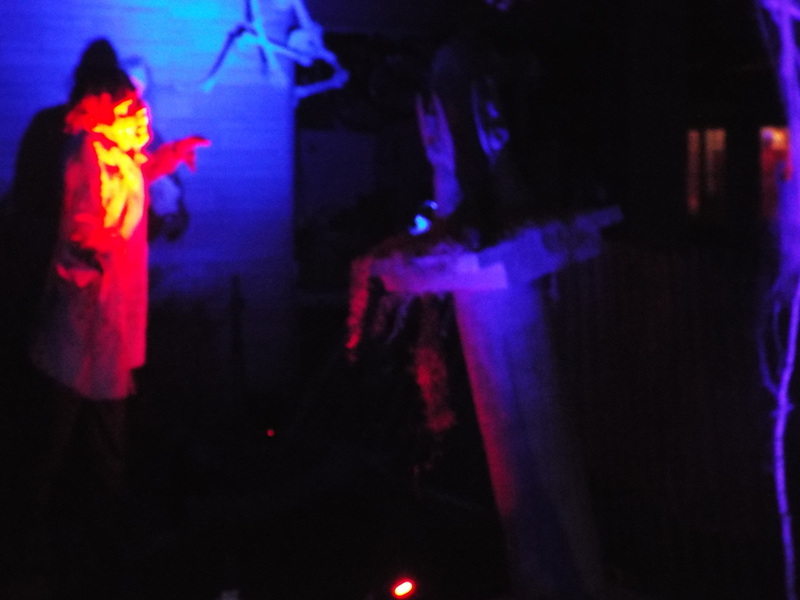 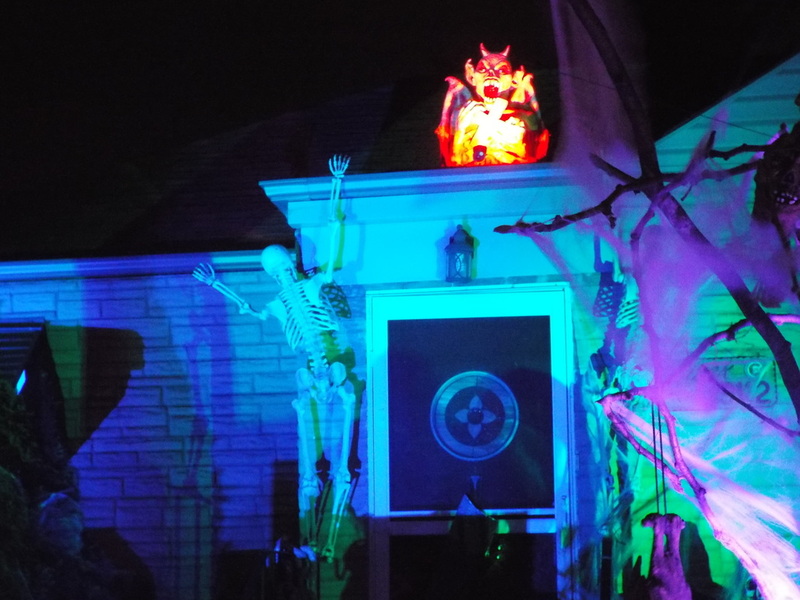 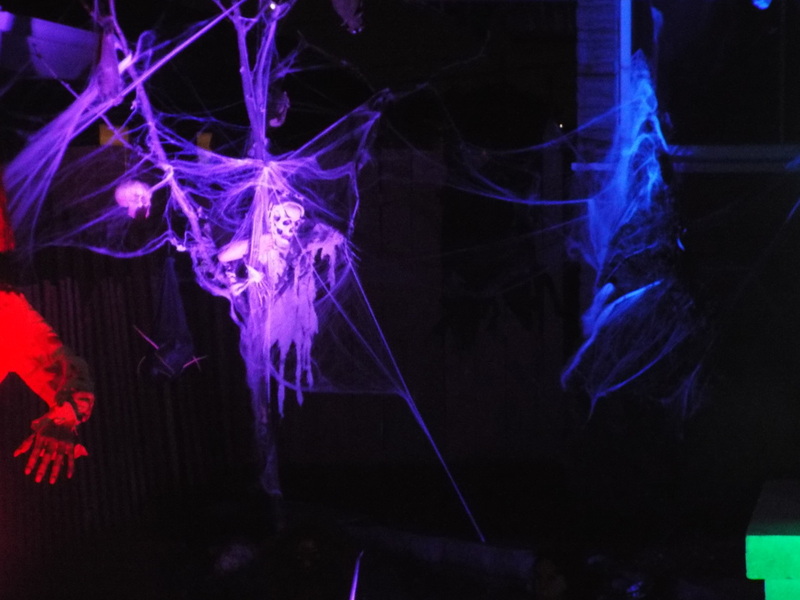 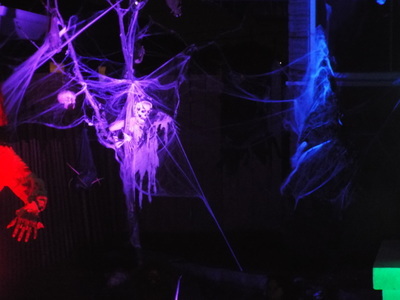 The entire display is accentuated with lights, fog, and even music, which makes it stand out and also adds some creepiness, especially when driving down the rather quite side street and getting out to view the display when no one is around. 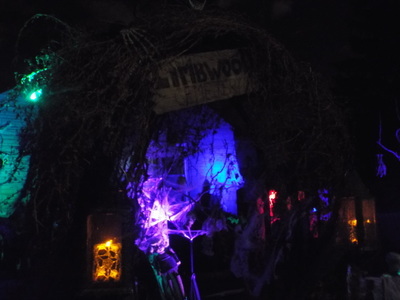 In short, Limbwood Cemetery has grown quite a bit from its humble beginnings, and we're happy to see the progression. 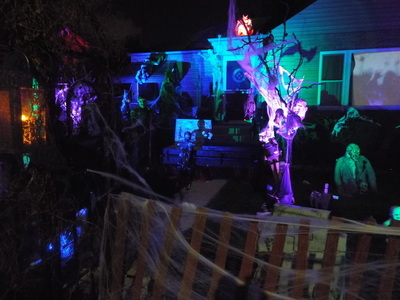 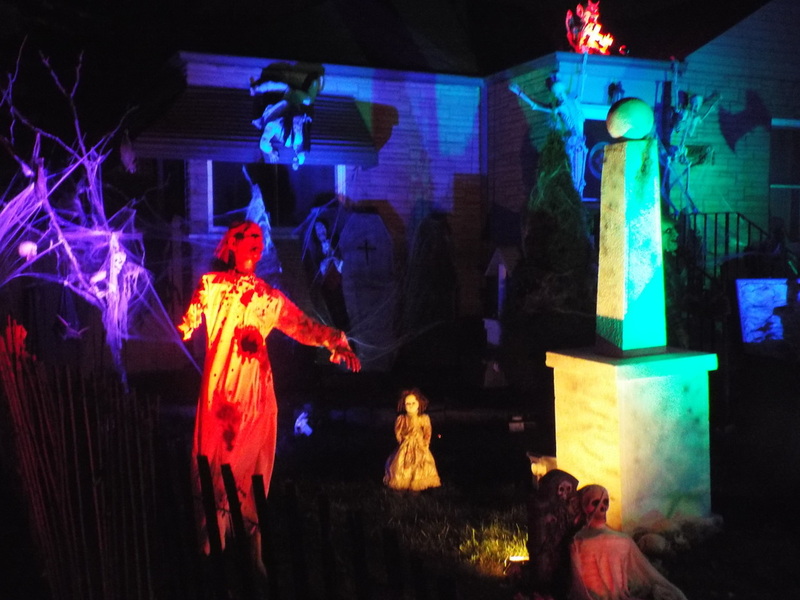 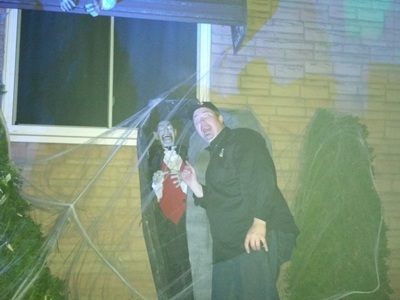 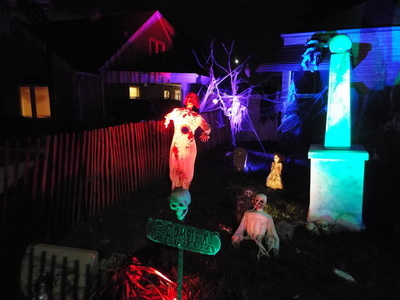 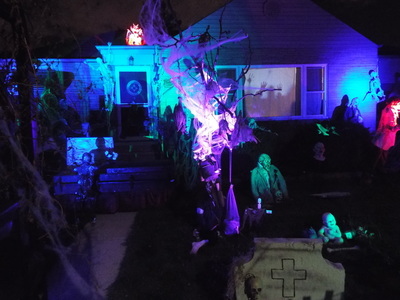 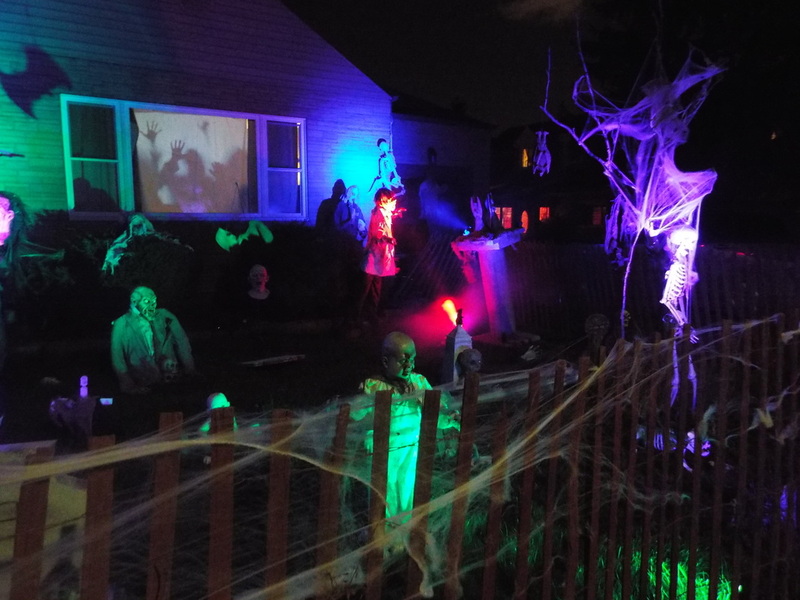 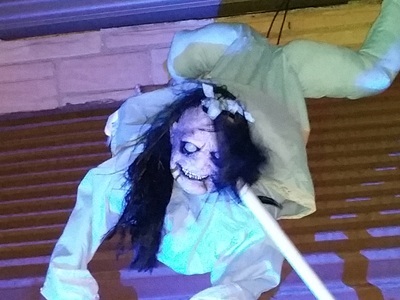 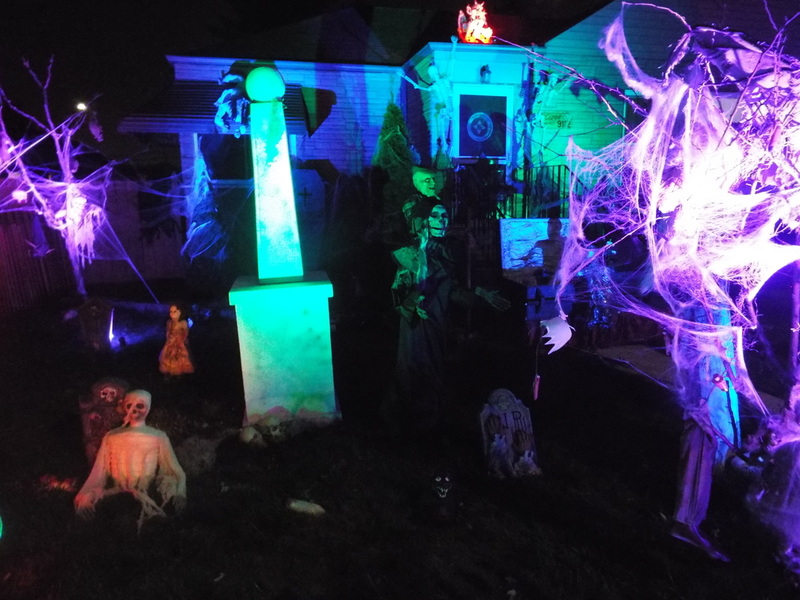 It joins the many fine haunts and yard displays in the Oak Lawn area, so make sure to put in on your list!